Our services are also available for many other events. This includes Corporate Events, Family Reunions, Private Parties, Clubs and Bars, Outdoor Events, Car Shows, Anniversaries, Retirement Parties, Festivals, Grand Openings, Church Functions, Business Promotions, and even Live Band Performances! Our staff can work with you personally to bring a unique entertainment experience to your event. We encourage you to contact one of our event specialists about your needs. 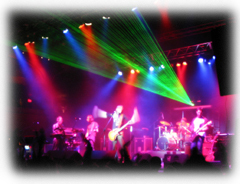 We also offer lighting packages for bands and live performances. With over 70 individual lighting fixtures to choose from, together we can customize a show that will rock your crowd and bring excitement for your performance. Our selection of equipment can be customized to your individual needs. We also provide many additional effects such as glow sticks and novelty items, fog, haze, and dry ice machines, bubbles, show, and even commercial grade confetti cannons. No matter what type of event rest assured that Marek's DJ Services will bring energy and excitement to your event that will create a life lasting memory of your evening. Contact us today for more information! 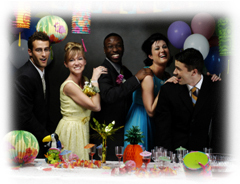 You can instantly determine if we are available for your special event by clicking here.